Rome plays host to thousands of visitors each year. And, in case you’re planning on being one of those many visitors, we’ve come up with a tool to help you plan your best Roman holiday ever. 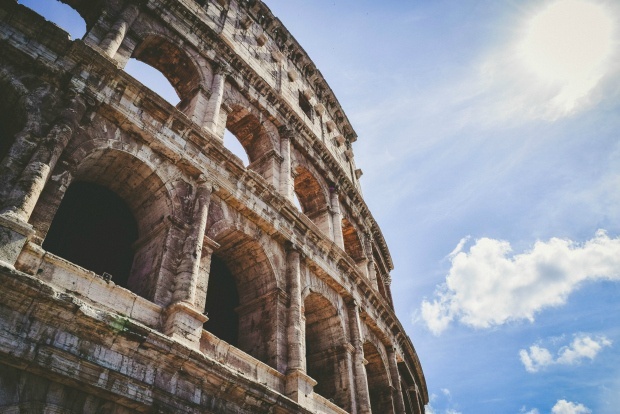 Our itinerary is designed to bring you the best of Rome, front-loaded with the highlights, so you get to see the best of the best early on in your trip (or perfect if you’re only in Rome for a short time) and slowly bringing you deeper into the Roman experience, the longer your trip. Whether you’re planning to do Rome in 1 day or in 1 week, let Cheapflights.com help you plan an itinerary that will bring you to all of Rome’s greatest highlights. And, when it’s time to book a flight, let us help you find a price that perfectly fits your needs, too. *All prices below are listed in Euros, the local currency in Rome. As of the date of publication, €1 is worth about US$1.20. The most commonly used mode of transportation in Rome is the Public Transit Bus Service. Buses and underground subway trains run 24 hours a day, dropping off passengers at hundreds of locations throughout the city. You can purchase bus and subway tickets at tobacconist shops, which are easily found under a blue sign with a large “T.” You can use your ticket at any bus stop, bus station or metro station in Rome. Tickets are interchangeable, with passes available for 1, 3 or 7 days and are valid for use in the Metro, bus and train systems, making it easy to transfer between them all as you travel. Renting a car is also an option, and taxis can be hailed for quick transportation (all official cabs are white with licenses on the left door of the back seats). Start at the Colosseum. Since you only have one day, start your morning as early as possible, and be waiting out front when the Colosseum opens at 8:30 a.m. Admission is €10.50 but free on the first Sunday of every month, and you should plan to visit for at least an hour. Built in 70 A.D., the Colosseum is a historic amphitheater and one of Rome’s oldest monuments. Gladiators once fought on these grounds, and mock sea battles and mythological plays took place here on a regular basis. In its heyday, the original theater held up to 60,000 people, but today only a portion of the original still stands. Be sure to visit the Arch of Constantine, which sits just outside the Colosseum. The arch was dedicated in 315 A.D. to commemorate Constantine I’s defeat over the pagan Maxentius in 312 A.D. Take 10-15 minutes to check out this remarkable structure. Next, make your way to the Roman Forum, an ancient plaza that sits in Rome’s city center surrounded by ruins of ancient buildings from the Roman Empire. The Forum is just a 10-minute walk from the Colosseum, making it an ideal next stop in your day. Like the Colosseum, gladiator matches were often held at the Forum and the space was utilized for criminal trials and large events. The ruins that surround the plaza are the remains of ancient temples and buildings. Plan on taking about an hour to check out the ruins. Admission is free the first Sunday of every month and €10.50 for an adult on other days. When you’ve finished visiting the ancient ruins, take a taxi or the Metro to the Vatican Museums. Guided tours start at 11 a.m. but you can also stroll through the museums on your own time. The entrance fee to the Vatican Museum is around €16. The main attraction at the Vatican is the Sistine Chapel, which houses beautiful paintings by Roman artists and the vaulted ceiling is covered with Michelangelo’s historic work of art. St. Peter’s Basilica sits behind the museums, so this beautiful historic building should be next on your list. St. Peter’s Basilica was built in 1506 and houses the famous statue of St. Veronica. The entrance fee is €8, and the Basilica opens every day from 7 a.m. (though schedules are subject to change). If you visit on a Wednesday, you just might spot the pope praying from the second window to the right of the Apostolic Palace. For your next attraction of the day, visit the Trevi Fountain in the Trevi District of Rome. Located just a mile and a half from St. Peter’s Basilica, you can easily catch a taxi or enjoy a half hour walk to get here. Built in 1732, this world-famous fountain features beautiful sculptures and is one of Rome’s most visited attractions. The fountain has been a filming location for many famous movies set in Rome, and tourists flock here to take part in the tradition of throwing a coin into the fountain. Legend has it that, if you toss a coin over your left shoulder into the water from your right hand, you will be ensured a return trip to Rome. Legend also says a second coin tossed will bring about a new romance, while a third coin will bring about a wedding. Fun fact: More than US$1.5 million worth of coins were tossed into the fountain in 2016 alone. Finish your day with a visit to the Spanish Steps, an impressive, 135-step staircase built in the 17th century. The steps separated the Spanish Plaza and the Trinita dei Monti Church, which was owned by the French. Today, visitors head to the steps to challenge their endurance and view the architecture. You can walk the steps for free and you could spend a couple hours in the popular shopping and dining area around the steps. Dinner options: Known and loved for its small menu of authentic Italian offerings, Sofia is a small but popular dinner spot with both locals and visitors. It’s cozy atmosphere make it a great way to cap off day 1. Prices range from €21-40. Start your second day in Rome with the Heart of Rome Walk. Download the guided walking tour podcast by vlogger Rick Steves, then take your time on a mile-long journey through the piazzas of Rome, starting at the historic Piazza Campo Dè Fiori. The walk takes about 2 hours, and it’s free, unless you decide to pick up a snack or souvenir along the way. Best of all, you can download a map to stay on track. When you’re finished with your walking tour, rest your legs and hop in a taxi for a quick ride just south of Vatican City to visit the Trastevere area. Trastevere is one of Rome’s most well-known and beloved neighborhoods, offering great people watching and beautiful architecture. Stroll the cobblestone streets and take in the views of the ruins across the Tevere River, then stop by the breathtaking Basilica de Santa Maria. Trastevere is small, so plan to spend about an hour there. For some more sightseeing, make Piazza Navona the next stop on your itinerary. Designed in the 1500s, this popular square is full of gift shops and food vendors and is surrounded by some of the most beautiful architecture in all of Rome. Make a wish at the Fountain of Neptune then grab a sweet treat from one of the many vendors and peruse the souvenir stands. Plan to spend an hour or 2 at the Piazza. From the Piazza Navona, take the short walk over to the Pantheon. Now a church, this structure stands on the same spot where there was once a temple built around 27 B.C. The present building was completed in the early 2nd century A.D. Now standing for almost two thousand years, the building features the world’s largest unreinforced concrete dome. Another must-see attraction in Rome is the Capitolini Museum. Built in the 1400s, this museum was the first public museum ever built. It houses a variety of exhibits with pieces dating back to the Roman Empire. A tour of the museum takes about 2-3 hours. At the end of your second day, pay a visit to the part-museum, part-villa Galleria Borghese. Plan to spend about 2 hours here as you take a walk through the gorgeous gardens and check out famous sculptures like Caravaggio’s “Boy with a Basket of Fruit.” Admission is €11. When you’re ready for dinner, enjoy a cozy meal at Trattoria Monti, or grab a quick sandwich at I Pizzicaroli. Prices at both restaurants range from about €8-20. Start day 3 with a trip to the Baths of Carcalla. Named after the emperor Carcalla in 211 A.D., the baths could hold up to 1,600 people in the height of their use, and were considered a place for powerful people to meet. The baths are located a few miles away from the Forum and a small admission fee is required. For an up close and personal look at how the rich once lived, make the Villa Farnesina in the Trastevere your second destination of the day. Admission is €6, and you’ll spend about an hour checking out the art and sculptures that depict wealthy life in Ancient Rome. From Trastevere, take a walk down the cobblestone Appian Way, a road that dates back to 312 B.C. The road connects to the city of Brindsi, and several historical monuments sit along its first few miles. Next up, head over to the National Roman Museum on Piazza del Cinquecento. Take a guided tour of the grounds and view some of the world’s most famous artwork. Tickets are €21 and the tour lasts about 2 hours. For your final attraction of the day, visit the Victor Emmanuel II Monument, Italy’s tribute to the country’s first king. The monument sits between the Capitoline Hill and Piazza Venezia and admission is free. Enjoy a fine-dining experience at La Pergola in the Waldorf Astoria Hotel. Prices range from €21-200 per meal and include specialties like lamb loin and shrimp scampi. Begin your day with a trip to the Basilica of San Clemente, a spectacular 2,000-year-old church with gorgeous tiled mosaics and frescoes. Admission is free and you should plan for a 2-hour visit. 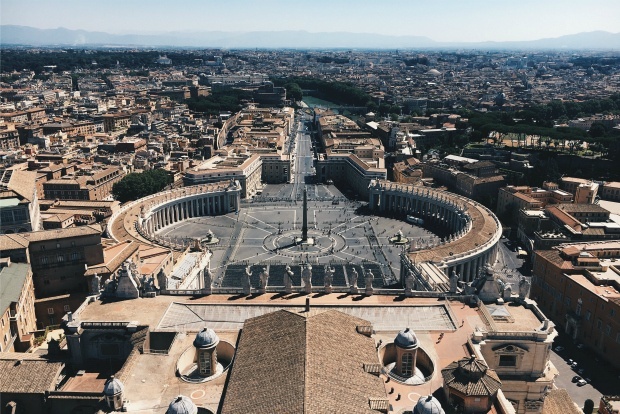 Next up, head back over to St. Peter’s Basilica and spend some time in St. Peter’s Square. The square was built in 1656 and it’s where residents gather to hear messages from the pope. Admission is free. For your third destination, visit the Fiumi Fountain, also known as the Fountain of Four Rivers. Built in the 17th century, the fountain is free to visit and features a Roman obelisk statue. At one time, the fountain provided Romans with a generous supply of water when resources were low. The next must-see attraction for day 4 is the Church of Saint Louis of the French. Located at Piazza di S. Luigi de’ Francesi — the Italian name for the church — this Roman Catholic church was built in 1589 and is known for its beautiful frescoes. Admission is free and tours last about an hour. At the end of the day, make your final attraction Circus Maximus. At one point in time, this historical landmark was the largest stadium in Rome, capable of holding up to 250,000 people. Built in 329 B.C., it was a spot for chariot races, processions and gladiator combats. Admission is free and the total tour takes about an hour. For a casual lunch or dinner, stop by The Lost Food Factory, a spot known for its friendly staff and delicious, affordable sandwiches and craft beer. Prices range from €4-18. Start day 5 with a trip to Domus Aurea, where you’ll find the remaining pieces of Emperor Nero’s 3-story villa. The emperor was known as a man of excess and the villa featured an abundance of banquet rooms, a lake and a shower with rose petals. Tours last about 3 hours and ticket prices vary due to ongoing restorations. 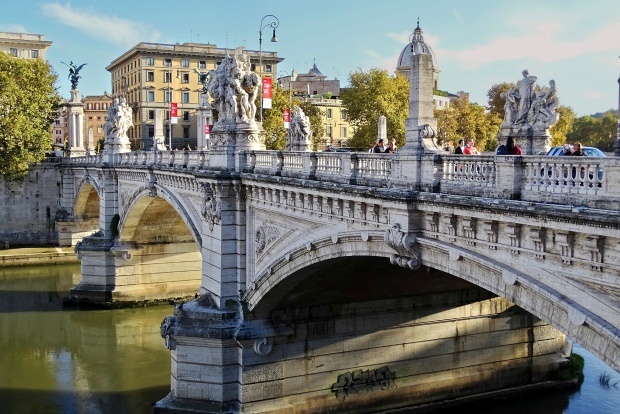 For your next attraction, visit the St. Angelo Bridge (Ponte Sant’Angelo), also referred to as the Bridge of Angels, which crosses the Tiber River. Nearby, the imposing Castel Sant’Angelo is also worth a visit. The fortress was built by the Emperor Hadrian in A.D. 135 and was originally a mausoleum. Spend at least half an hour here visiting the grounds and the interior. Admission is €10.50. Next, check out the Pincio Promenade, a park that houses more than 200 busts of Roman figures. Admission is free and you can pack a picnic and enjoy a mid-day meal in the garden. For your fourth attraction, head over to Domitilla’s Catacombs. An admission price of €8 grants you entrance to the sunken churches and sacred land that once belonged to Flavia Domitilla, a granddaughter and niece of Roman emperors, whose name can be found on inscriptions throughout the catacombs. For your final attraction of the day, have some fun at the Time Elevator Experience. This unique theater takes visitors on a trip back in time with the help of digital 3D technology. Once you sit in the elevator, a 3D screen pops up and a movie about Rome’s history begins to play. Enjoy a signature sandwich at Bagetteria del Fico, located in the heart of Rome. Dine on fresh baguettes dipped in olive oil with meats and cheeses, all reasonably priced between €8-13. Spend the first few hours of day 6 at MACRO, Rome’s Museum of Contemporary Art. Take a tour of the museum and see art by both local and world-renowned artists, then head outside and stroll the grounds. Ticket prices vary by exhibit. Spend the afternoon doing something a little different by visiting the Rome Biopark, also known as the Rome Zoo. Tickets range from €13-16. 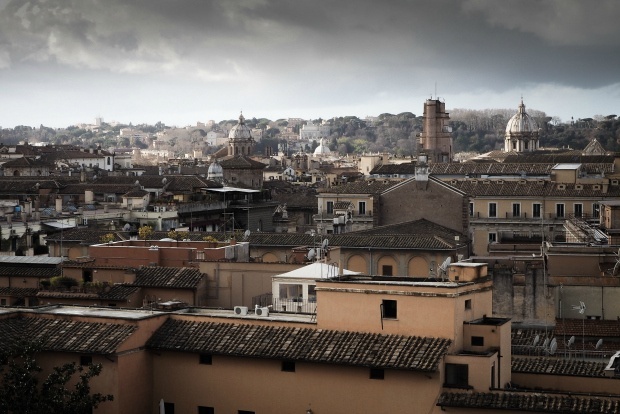 For a little exercise toward the end of the day, sign up for a private walking tour of Rome. 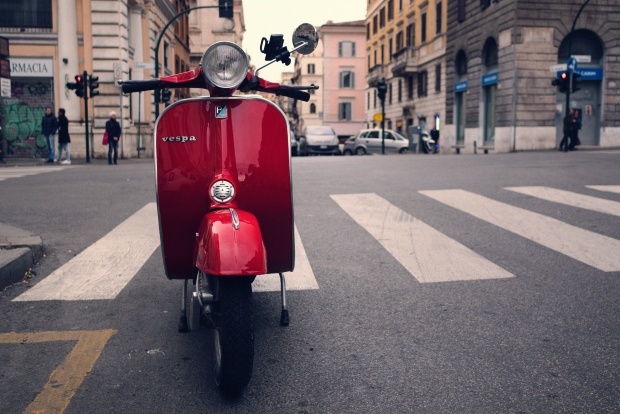 Choose from downtown, Ancient Ostia or a food and wine tour. Prices vary by tour. Finish day 6 with a night at the Rome Opera. The opera house opened in 1880 and offers a variety of seasonal performances. Ticket prices vary by show. Dine in style at Rome Villa Borghese at the Hotel Sofitel. Enjoy views of the city as you sample gourmet Mediterranean cuisine at prices ranging from €43-90 per plate. Start your final day with a visit to the Capuchin Monastery, which is filled with more than 8,000 ancient skeletons. Admission is €6 and you should plan for an hour-long visit. For a mid-day break, visit Villa Ada Park, the largest park in all of Rome and home to a wide variety of summer concerts and events. Pack a picnic and spread out on the grass or take a walk through the villa and enjoy the architecture. After lunch, head over to Trajan’s Market in the city center. One of Rome’s first public squares, here you can tour the ruins of old shops and offices. Admission is €15 and the market is large, so you’ll probably spend at least an hour walking the grounds. For a history lesson (and the perfect way to finish off your last day in Rome) pay a visit to Largo di Torre Argentina. Also known as the Roman Cat Sanctuary, Torre Argentina is one of the oldest temples in Rome and home to more than 150 cats. Spend an hour walking through the ruins and stop to play with a furry friend or two. Admission is free and the exhibit is open every day from noon-6 p.m.
Have your last meal in Rome at Armando al Pantheon, one of the city’s most famous restaurants. Prices range from €8-45. Try some of their signature bruschetta with truffles or feast on eggplant parmigiana. 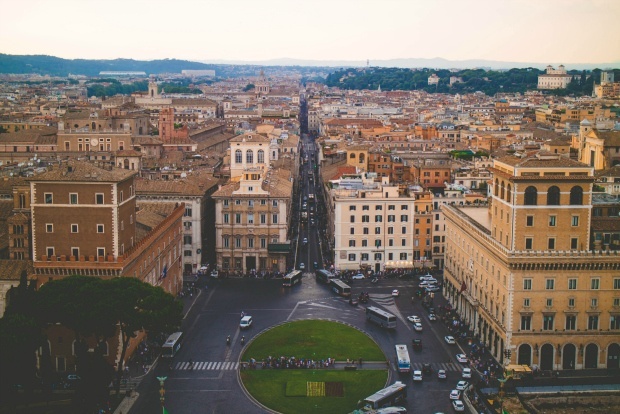 Now that you’ve got a great plan for how to spend your time in Rome, get a great price on a flight to Italy’s capital city, too (on Cheapflights.com, of course). Anything you would add to this itinerary? Let us know in the comments below. Jess is a traveller and writer currently putting down roots in Boston as the Content and Social Media Executive for Cheapflights Canada. Originally from New England, she has also called France and New Zealand home. She has visited 22 countries including Portugal, Morocco, Turkey, Indonesia and South Africa.